1. Tell us about your newest book. 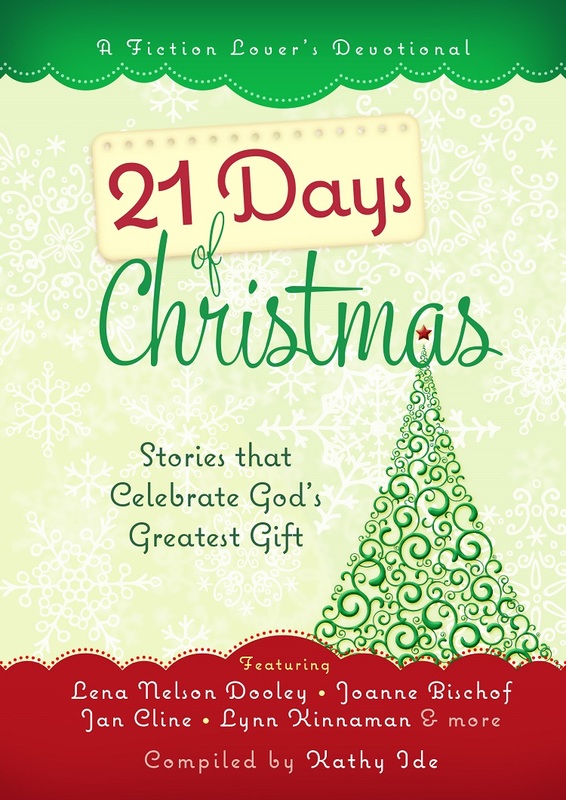 21 Days of Christmas: Stories that Celebrate God’s Greatest Gift is the second in a series of Fiction Lover’s Devotionals, published by BroadStreet Publishing. It’s a collection of short fiction stories, all written by different authors—some new, some intermediate, and some beloved best sellers. Each story is followed by a brief Life Application, written by the author of the story, that suggests how the messages inherent in the tale can be applied to the reader’s daily life. It released on September 1st. 2. What’s unique about this series? A lot of readers today love Christian fiction. But in their quiet times with the Lord, they want something with a little more depth … and something a little shorter than a novel. There are lots of compilations with short true stories out there. The Fiction Lover’s Devotionals are for readers who enjoy fiction. For people who haven’t discovered the joys of Christian fiction, these short stories will be a great introduction to it. 3. Which authors are included in 21 Days of Christmas? The book has chapters by Joanne Bischof, Jan Cline, Lena Nelson Dooley, Lynn Kinnaman, and more. Bios of contributing authors are featured at the end of each chapter, so readers can get something new from the novelists they already know and love as well as samples from other authors they can add to their favorites list. 4. Do you have a chapter in 21 Days of Christmas too? I do. It’s a story of what might have gone through Joseph’s mind in the moments after Mary gave birth to Jesus. I loved imagining what it must have been like to realize that you’ve been called to teach God’s Son about God. Based on what Joseph was raised to believe about the Messiah, that experience must have been mind-blowing! 5. What’s one of your most cherished Christmas memories? When I was maybe ten years old, my mom asked my dad to build dollhouses for me and my two younger sisters for Christmas. He collected scrap lumber, carpet samples, strips of wallpaper, paint, and miniature furniture pieces. After working all day, then waiting for his daughters to go to bed, he stayed up late several nights in the garage, constructing a two-story house with five rooms, glued to a board that was painted green and had little trees and bushes in the wooden yard. The night before Christmas Eve, the dollhouse was finally finished. And my mom asked, “Where are the other two?” What? “You have three daughters, Wayne. You can’t expect them to all share one dollhouse.” After a last-minute shopping trip, Dad stayed up all night and built two more houses—identical in size, shape, and floor plan, but each with different wallpaper and paint and furnishings. When my sisters and I woke up on Christmas morning to three beautiful dollhouses, mine was the only one we could play with right away because the paint hadn’t yet dried on the other two! I still have a picture of those houses, with me and my sisters grinning from ear to ear, on my china cabinet. 6. What’s your favorite Christmas tradition, and why? Since both of my kids are now grown and living in different states, Christmas at home is pretty boring. So my husband and I fly to Colorado every year to spend the holiday with my parents, my sister, her three kids, and one of my adult sons. The other adult son joins us there every other year with his wife. This year, they’ll be bringing along my new grandbaby. Yea! 7. What are the other book titles in this series? 21 Days of Grace: Stories that Celebrate God’s Unconditional Love released June 1. 21 Days of Love: Stories that Celebrate Treasured Relationships, is scheduled to release January 1, 2016, for Valentine’s Day. And 21 Days of Joy: Stories that Celebrate Motherhood, is schedule to release April 1, 2016, for Mother’s Day. 8. How do you see people using these devotionals? The books are being published as beautiful hardcover gift books—small enough to take with you wherever you go, and with chapters short enough to read anywhere. You can enjoy these stories over breakfast, at lunch break, before bed, or curled up in your favorite chair with a cup of coffee or tea. These books could also be used in group settings—for your book club, Bible study, life group, Sunday school class, or just getting together with friends. They make terrific gifts too—especially 21 Days of Christmas! A Study Guide is available for free at www.FictionDevo.com or as a 99-cent e-book at Amazon or Barnes & Noble. 9. Where can people purchase the book? 10. 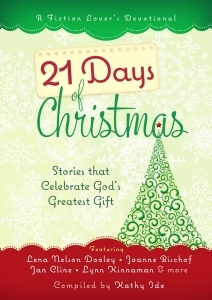 The print version of 21 Days of Christmas can be ordered online at Amazon, BN.com, ChristianBook.com, Cokesbury.com, and GoHastings.com. The e-book is available from Amazon, BN.com, iBooks, and Google Play. 21 Days of Grace is there too! The books can also be found at Christian bookstores and some Walmart, Barnes & Noble, and Hastings stores. 11. What can readers do after they read the book? There’s a forum on FictionDevo.com where people can post responses to the book and the stories in it. They can also do that on Facebook.com/FictionDevo. I’m very excited to read about how God is using these stories in people’s lives. 12. Are you looking for submissions for future books in this series? If the first books sell well, the publisher will continue the series, so we could have several more titles to come. If you follow me on social media, or sign up for my newsletter, or check the FictionDevo.com website, you’ll get updates as they happen. Sounds like a lovely collection, Kathy! Hi Sharyn. You’ve won a copy of this great book. 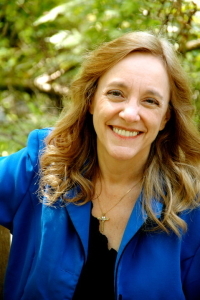 Can you send me your email address via my email address of ezyrtr@ca.rr.com, I will connect you with Kathy Ide so she can send you the book. Thank you! Thanks you for the opportunity to win. Seems everyone searches for a “comfort” zone especially during the Holidays. Nothing like a “feel good” story or reflection on tradition to bring our thoughts to a positive place of happiness. Some works, although labeled fiction, have the power to remind us of memories that remain powerful in our lives, and motivate us during difficult challenges. Thanks for organizing them.